The new Ohio State Plan on Aging was approved and released. It covers FY 2015-2018 and encompasses a vast overview of all things related to aging in Ohio. Perhaps the most significant inclusion is the focus on ensuring older Ohioans have the “choice to voice” their wishes for independence and quality of life. 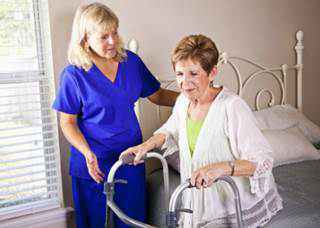 Long Term Care – Enable seniors and those with disabilities “new options to live independently and with dignity in the settings they choose”, and in the vast majority of those cases, their chosen setting is in their own home. Value – This includes putting safety mechanisms in place that ensures Ohioans are paying only for what works for them and what helps improve their lives. Medical choices that no longer work shouldn’t be continued. The Ohio Department of Aging remains committed to integrating the needs of elderly Ohioans into the many medical services available, including Medicaid. Another exciting aspect of the report includes Ohio Highlights Nutrition Programs. Did you know that Ohio provides more than 8 million meals every year to nearly 90,000 elderly Ohioans? The Selects on Demands program is already in place in southwestern Ohio. Many elders who reside in senior apartment complexes are offered more than 30 different frozen meals to choose from. They’re delivered via a “specialized vehicle” and they may pre-select their meals for the month or they can wait until the truck visits the complex and choose their meal choices at that time. Ten of the state’s 12 area agencies on aging receive grants from Medicaid. They’re used to help Ohio seniors avoid hospitalization. It’s a great opportunity and a model that many other states could benefit by replicating in their home market. Further, each quarter, these agencies come together to share best practices, ideas and lessons learned – all in an effort of bettering the lives of our elderly. In fact, a new statewide initiative aimed at reducing falls was recently announced. Not only does it provide information on fall prevention, but it also has the support of Medicaid doctors throughout the state who offer resources, risk assessments, health care and long term care recommendations – all as part of the overall benefit for Ohioans. So often, we worry about our elderly parents and loved ones. We are committed to ensuring Mom and Dad have the bases covered when it comes to creating their Wills, putting into place proper Powers of Attorney for the medical and financial considerations and we work to ensure they have proper healthcare coverage, whether it’s Medicaid, Medicare, private insurance or VA benefits. To have the kind of support that’s found in the Ohio State Plan on Aging’s “Choice to Voice”, makes a big difference. To learn more about the program, visit the report here and if you’d like to discuss estate planning or if you have questions about retirement, aging estate planning and asset protection, we invite you to contact our team of estate planning lawyers today.